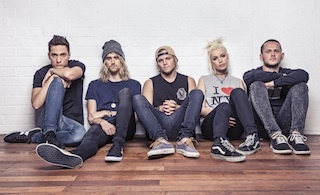 ATP's favorite Australian pop/rock quintet Tonight Alive are out supporting You Me At Six on the remainder of their US tour. Curious to see what the band are playing? You can check out their set list below. Don't forget to catch Tonight Alive on their ATP! sponsored fall tour with The Downtown Fiction, For The Foxes and Echosmith. Dates and ticket information can be found here.